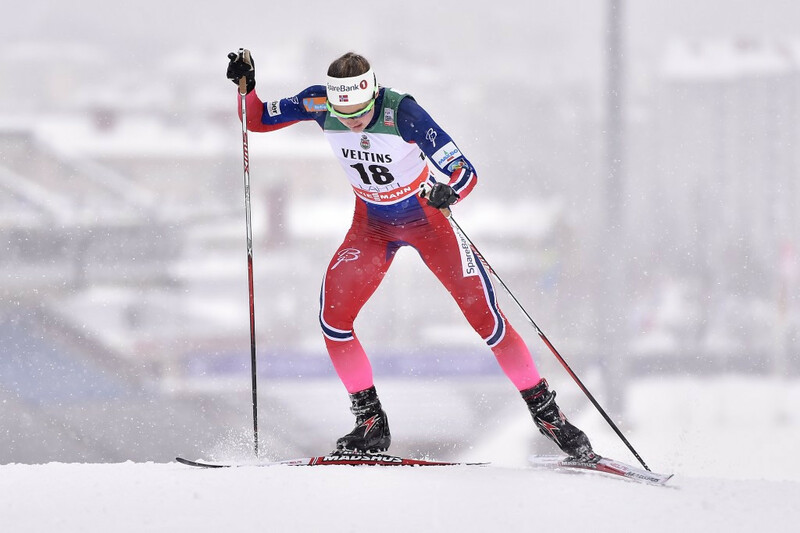 Norway's Maiken Caspersen Falla picked up her seventh victory of the season to extend her lead in the International Ski Federation (FIS) Cross-Country World Cup overall sprint standings on the opening day of the Ski Tour Canada in Gatineau. The Olympic champion finished the 1.7 kilometres free technique race in 3min 34.00sec to beat nearest challenger, Sweden's Stina Nilsson, by 0.73 seconds. Jessie Diggins of the United States, silver medallist in the 10km freestyle event at last year’s World Championships, was a further 0.14 seconds adrift in the bronze medal position. The result for Falla moves her on to a total of 630 points, 67 more than closest rival and compatriot Ingvild Flugstad Østberg, who finished second in the sprint race behind her team-mate at the 2014 Winter Olympics in Sochi, as she has 563. Swede Nilsson currently occupies third place on 552 points. Russia’s Sergey Ustiugov secured his first sprint victory in two years as he won the men’s event in 3:09.36, just 0.08 seconds in front of silver medallist Richard Jouve of France. Jouve’s second place was his highest-ever FIS Cross-Country World Cup finish, beating his bronze medal at Planica in Slovenia in January. Jouve was involved in a fierce battle for second place with Simi Hamilton of the United States, who had to settle for the bronze medal just 0.01 seconds behind. Ustiugov, relay bronze medallist at the 2013 World Championships, had not tasted sprint success since the World Cup event in Nové Město in the Czech Republic in January 2014. Federico Pellegrino of Italy still leads the men's World Cup sprint standings with 493 points, with Norway’s double Olympic gold medallist Petter Northug second on 402. 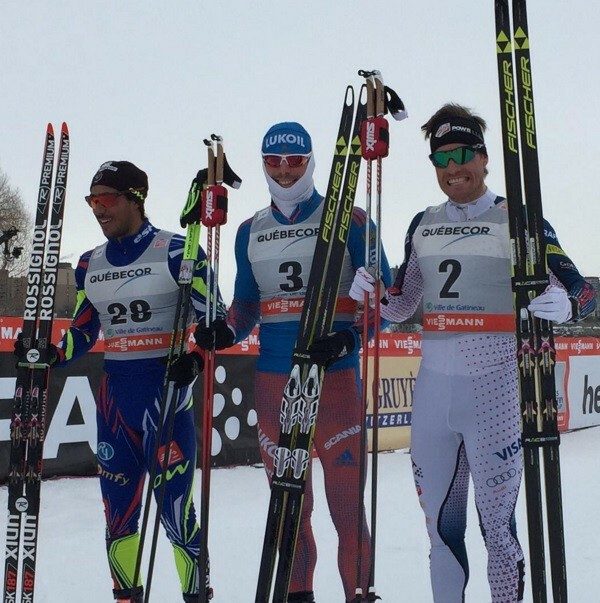 Finn Hagen Krogh of Norway, last year's sprint overall winner, is third with 372 points. Stage two of the Ski Tour Canada includes a women's 13km and a men's 20km mass start classic event in Montreal, is due to place tomorrow. The eight-stage tour is scheduled come to a close in Canmore on March 12.